Megan Perkowski is a 30-year-old woman who was born in January 1984 with tricuspid atresia, an atrial septal defect, a ventricular septal defect and pulmonary vein stenosis. Megan has undergone numerous medical procedures, including several cardiac catheterizations and 7 heart operations. She is now on permanent supplemental oxygen due to lack of blood flow caused by major scar tissue. Megan attended traditional public school from the time she was three years old. Megan’s mom informed school administrators, teachers and school nurses of her conditions. It wasn’t until middle school that Megan began to experience much bullying. By high school the bullying had escalated from verbal to physical abuse. Megan withdrew from public high school but finished her degree through her town’s adult education. She graduated in 2002 from high school and in 2008 obtained her Registered Medical Assistant certification. 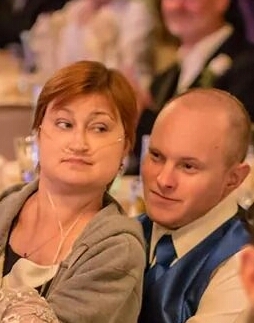 Nancy Jensen, and her husband Karl, have 3 heart-healthy sons and Jessica, who was born with tetralogy of Fallot, pulmonary atresia, severe pulmonary artery stenosis, non-confluent pulmonary branches, major aortopulmonary collateral arteries (or MAPCAs) and DiGeorge Syndrome. Jessica was very “blue” her whole life because, despite 5 heart surgeries, she never had a complete repair. 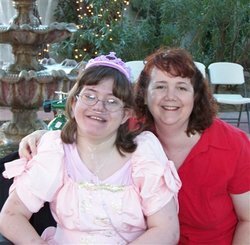 Jessica became oxygen-dependent about 7 years old and needed a motorized wheelchair at age 9 because walking became too difficult for her. Jessica had 2 strokes, which greatly affected her development, but she eventually mostly recovered from the strokes, surprising all of the specialists. Jessica started school at 3 years of age and graduated from high school in 2008. Sadly Jessica passed away on Oct 4, 2010. Although she wasn’t expected to survive childhood due to the severity of her CHDs, she amazed everyone by being a happy, loving person who survived to be 22 years old despite all her medical issues. Nancy’s Blog: Are We Having Fun Yet?